"Sports fans should be grateful that D’Orso has wandered around on their turf and come back to tell these engaging tales. But if only sports fans read these stories, it will be a shame. The best of them are not about sports; they're about what it's like to be alive on the planet." "Mike D’Orso takes what could be the ordinary and turns it into a series of reading gems.. .thoroughly entertaining, consistent and compelling." “Few journalists are worth the price of a subscription. Hunter Thompson used to be for Rolling Stone. Mike Royko still is for the Chicago Tribune. 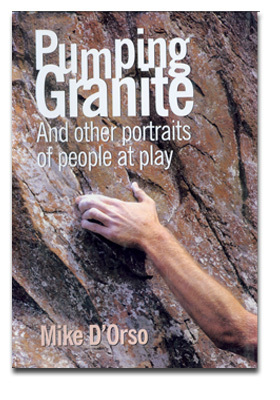 Mike D’Orso fills the bill in Virginia.. . .If Pumping Granite weren't so entertaining, it could be a textbook on feature writing." "Mike D’Orso has put to good use his degrees in philosohy and English as he tells these stories of people seeking their personal best."